I figured this whole system was pretty self explanatory after a few tries but judging by the comments on the forums I guess not. I'll try to be as clear as possible with screenshots. 1. Select any Partner apart from your main. 2. Press the Evolution tab. 3. Click on an item in a grey area. 5. Click on the item to open the "location window". 6. You can now click on the green text and instantly go towards the map. On the map you have to find the number of the mob, I, II, V, etc. Number of the mob is located in the green text or you can find it yourself. 7. After you farmed him and got the item you equip it. For the ones who don't read the pop up messages and ask questions later: IT IS BOUND, CANNOT UNEQUIP. This works up to level 2 or 3 and then you have to do the same thing but it requires you to collect multiple items of the same gear. At this point you can do 2 things. Spend Vitality in the personal instance or use guild instances that don't require vitality in order to farm the item. 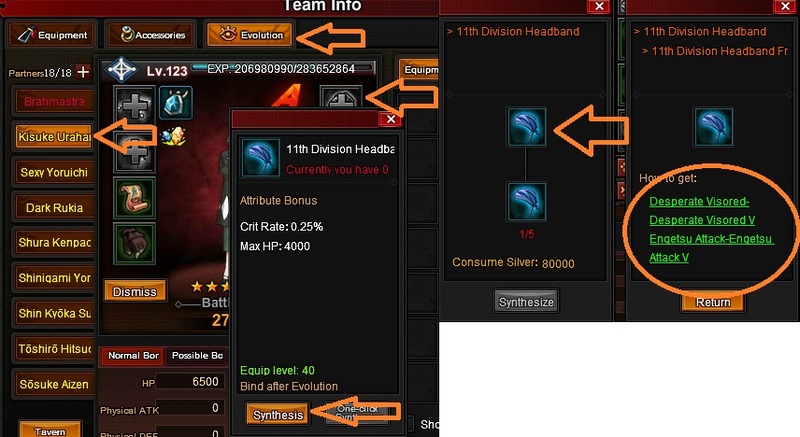 The level of the item matches the level of the guild instance so you always know where to go. 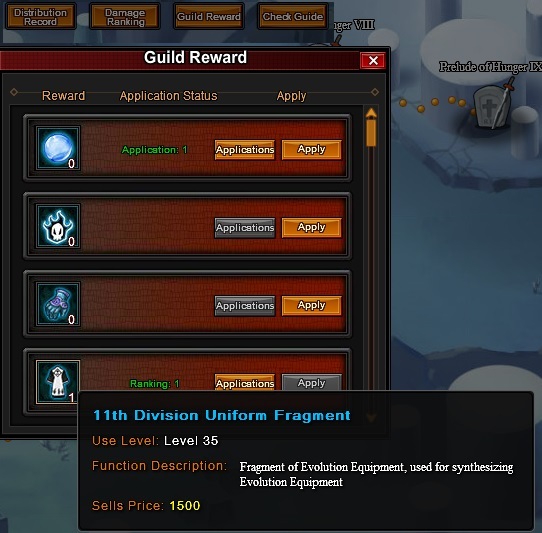 After defeating the guild instance you get points based on damage, rewards based on kills and there's a special reward system where you can apply for items. The system becomes pretty repetitive after a few levels but the rewards are awesome and totally worth the Vit you burn. Simply one of the best F2P features in the game. Yeah, it's actually not thar hard once you try a few things out, but I figured that some might not completely understand it and wrote this Guide. I would have added pictures, but I thought that the post would be a bit overwhelming. So thanks for adding a few things. And I edited the Main Post and wrote the Initial Fury gain for a few event/tavern/swp partners for Lvl. 11 Evolutions. And further above that you can see how much Fury Stones/ Percentage you'd need with those. oh lel.. Maybe make and post a screenshot out of a word or excel file? Spent 2k Vit and if UBP comes again soon I might not be able to get the reward. lol I know right. I spent around 1k myself >.> further evidence of that is that they make the enemies so easy too even for the 100 instances lol. GMT-5, 2019-4-25 19:39 , Processed in 0.027449 second(s), 9 queries , Xcache On.